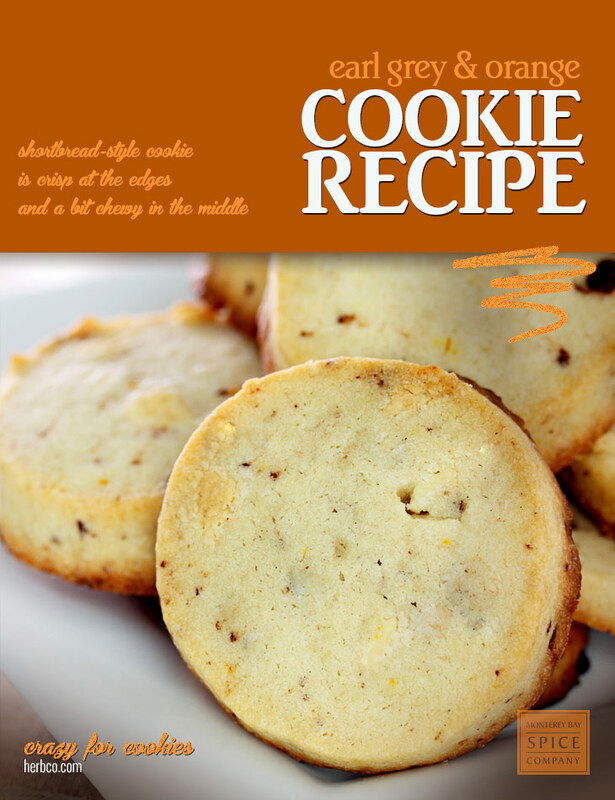 This shortbread-style cookie is crisp at the edges and a bit chewy in the middle. The bergamot in the tea blends beautifully with the orange zest. 1. Combine flour, tea and salt in a small bowl. In a large bowl, cream the butter and sugar. Stir in orange zest. 2. Gradually stir flour mixture into butter mixture until just combined. 3. Divide dough in half. Shape each half into a log on a piece of parchment paper to prevent sticking. Wrap in plastic wrap and refrigerate for at least an hour. Meanwhile, line two baking sheets with parchment paper. 4. Cut each log into 1/4-inch slices. Place slices 1 inch apart on prepared baking sheets. 5. Bake at 350 degrees Fahrenheit 15 minutes, or until edges are just browned. Cool on wire racks.